A question I hear discussed frequently goes something like "what do Christian counselors think of secular psychology and drugs? Are they helpful?" I'll respond to that question here, but first, an understanding of the limitations of common grace and an understanding of special grace will prove very helpful. Special grace, on the other hand is God’s “voluntary, unrestrained, unmerited favor toward guilty sinners, granting them justification and life instead of the penalty of death, which they deserved.”3 In contrast to common grace, special grace is unable to save a person’s soul and alleviate sin (the root of human problems). This means that knowledge ascertained by secular psychologists is not without utility. Applying their knowledge gained through God’s common grace, secular psychologists can indeed pull out the top part of the weed and offer temporary “fixes”. 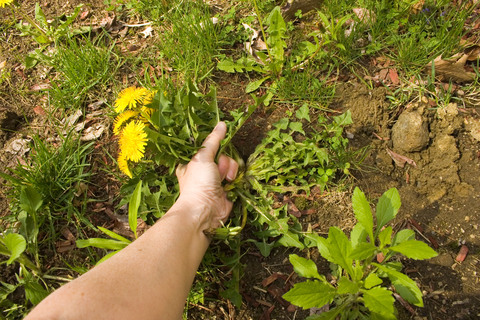 But gardeners know that if you don’t pull out the root of a weed, it will grow back. Cornelius Van Til aptly explained, “The forces of creative power implanted in him [the secular psychologist] are to some extent released by God's common grace. He, therefore, makes positive contributions to science in spite of his principles and because both he and the universe are the exact opposite of what he, by his principles thinks they are.” The secular psychologist unwittingly leverages common grace (quite often with great vigor) to arrive at truthful conclusions. God, through His common grace, enables secular psychologists to locate truth so that mankind is aware of Him (Romans 1:20). In the same way, the secular astronomer gathers factual, helpful facts about the cosmos (Psalm 19:1); in the same way, a medical researcher is able to gather helpful facts about the nature of the human body. Ironically, while they may be diametrically opposed to God, they are actually doing His bidding, namely, establishing the grounds upon which He will exercise His justice (Romans 1:20). Medication and therapies can be helpful to treat someone with manic depression. God, through His common grace, has given us medication and other therapies as good and precious gifts (James 1:17). However, ultimate, systemic, lasting healing comes only through salvation in Jesus Christ and the washing of water by the Holy Spirit through the Word (Ephesians 5:26). Dr. David Powlison does a very good job of answering the question in this youtube video (“How does Biblical Counseling view psychiatric drugs?”). Further, while the secular psychologist is able to locate truth because of God’s common grace, when it comes to life’s ultimate questions (e.g., Who am I? Why am I here? What is wrong with the world? and How can what is wrong be made right? ), secular psychologists will lack the ability to reason properly because they lack the Holy Spirit and the Word (John 17:17, John 16:13). As Van Til asked, “After sin has entered the world, no one of himself knows nature aright, and no one knows the souls of man aright. How then could man reason from nature to nature’s God and get anything but a distorted notion of God?”4 A distorted notion of God will surely result in a distorted view of the nature of man. It is only on the basis of a right relationship with the triune God that genuine meaning (1 Corinthians 10:31, John 15:8) and right relationships (2 Corinthians 6:14, Mark 12:31) can be established in the human heart, enabling it to spring forth with godly life (Proverbs 4:23). David Martyn Lloyd-Jones, God the Holy Spirit (Wheaton, IL: Crossway Books, 1997), 24. Jay Adams, A Theology of Christian Counseling: More Than Redemption (Grand Rapids, MI: Zondervan, 1986), 8. Cornelius Van Til, A Survey of Christian Epistemology (Phillipsburg, NJ: Presbyterian and Reformed Publishing Company, 1969), 22. Cornelius Van Til, An Introduction to Theology, Volume One (Philadelphia: Westminster Theological Seminary, 1947), p. 69.